Friends and readers today I have completed 6 months of blogging on vvpvijay.blogspot.in which I recently ported to www.comboupdates.com. This past six months have been a big learning curve for me with some days of despair and some of delight. The 28th Jan was worst day for me as only 8 visitors visited my blog that day and the biggest day was 30th April when 4700 visitors read my blog. Some days I felt like stopping blogging and some days I felt like posting a 100 articles in one day. Only when I had crossed 50000 visitors did I feel comfortable with any number readers visiting my site. I know every blogger goes through this kind of a mindset in the initial stages of blogging and there are lot of tutorials and sites giving you minutest instructions about SEO and stuff like that. But I want readers to reminded of one thing, content is the KING of blogging. Even Google bots seem to be programmed for this fact hence if you post a good contest in your own style, you are going to be successful. I have seen many blogs succeed without any SEO and stuff and many big ticket SEO blogs without any visitors. Plagiarism or CTRL + V is a strict taboo in blogging. It may give you higher ranks but in long term somebody will find out that you have copied content on your blog and you will lose all the goodwill garnered during all the blogging years. My own experience with plagiarism was when a blogger called Sanjay Gunam copied the entire text including my name on his blog. I got to realise it when I so a page ranked above me having same words like me. I was dumbfounded as to how can a person copy something fully from another. I opened a DCMA ticket with Google guys and they were quick to respond. But Alas, this bloke was smarter, he started another blog and copied the same content, again with my name on that post. Again Google had to be called in and only this time he lost his blog. Regarding SEO and other backlinks stuff, I have been lucky to have friends like Rehmat Alam of supportivehands.net and Robin Sharaya of Askoverflow.com. Rehmat Alam helped me get this very niche TLD url comboupdates.com and these guys have really helped me find all the necessary stuff, make the necessary changes in my blog and about SEO techniques. I am grateful to them for the help they have been. Blogging also brings social responsibilities. You have to post only those articles which you believe in. I have followed this principal without any compromise. Many of the sites today don't follow this principal and will surely meet their fate. I have come across scores of fake sites which do not help you in any way other then make a few quick bucks for themselves. Google has and will always take stern action against such sites but sadly they get good visitors and make good money till the time they are online. Blogging has changed my mindset also. I have become a more social person after I started blogging. Earlier I had Facebook, Twitter, Google + and Orkut accounts but rarely visited them. 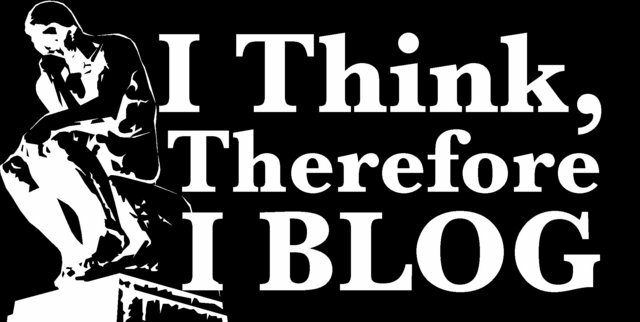 Blogging made it necessary for me to indulge in social networking and somehow I started enjoying it. Over the 6 months I have made friends from all over the globe and it is much fun to interact with these friends and know what is happening in their part of the world. Recently around 3 months back I became a member of a Indian bloggers club called Indiblogger. It is run by Renie Ravin and has been a tremendous help to me. I have made very good friends with some of fellow Indibloggers like K2, Abhishek Jha, Rotorman, Ranjith, Jack MySay, Harsha Bhuyan, OurJaipur, Sourav Das, and Sakshi Nanda. If you are a Indian blogger you have got to be the member of this prestigious group. I started blogging as a way to give information to people about the complicated things in most simple way. I am helped in this venture by Vijay Deepak Chibber, who dutifully posts the Photo of the Day every day at 6.00 am without fail. I intend to continue that with your help, comments, suggestions and of course reading my posts. Hope to keep blogging and make technology simpler and easily understandable for you. congrats (h) and keep it up. Thanks for those nice tips for a good blog!